If you live in the San Francisco Bay Area and are the least bit a ‘foodie’, you know about Andronico’s Market. But did you know that since 2003 their seafood program is based entirely on the science of the Monterey Bay Aquarium 2010 Sustainable Seafood Watch Guide and Fishwise program? Thanks to the foresight and passion of Andronico’s over 30 year seafood expert and buyer, Reid Pomerantz, the program is touted as one of the best retail seafood programs in the Bay Area. For Pomerantz, in the ‘80s when people were hearing a lot about the health benefits of fish and started to pay more attention to what they ate, this is when his love of seafood was taken to another level of excellence, as he was suddenly deluged by an onslaught of demand and questions about the many varieties of seafood. At this point, he had a perfect opportunity to educate people about seafood and deliver the customer service he was so well-known for, which he loved. He was so good at understanding and addressing the needs of customers that upper management at Safeway, his employer at the time, took notice and asked him to help develop the sales training program for new hires which took around 12 months to complete. For Pomerantz, it is a combination of outstanding customer service and product knowledge, as well as a truly environmentally responsible offering of seafood products, that makes a retail seafood program great. Today, and particularly in the SF Bay Area, consumers are becoming much more conscious of purchasing fresh seafood that has been sustainably raised, caught and delivered to their fresh fish provider. You may not know that Andronico’s was the first retailer in the Bay Area to go wild with salmon and the first to sell ‘frozen at sea’ salmon. Pomerantz met some fisherman a few years back who introduced him to the method of freezing freshly caught fish within 45 minutes of catching and bleeding them. After selling over 100K pounds of in their first season, all the retailers in the area followed suit. Still, it is important to point out that farmed seafood can sometimes be just as good, or maybe even better with regards to sustainability, as wild seafood. It is a matter of the fishery/aquaculture environment that makes this distinction. 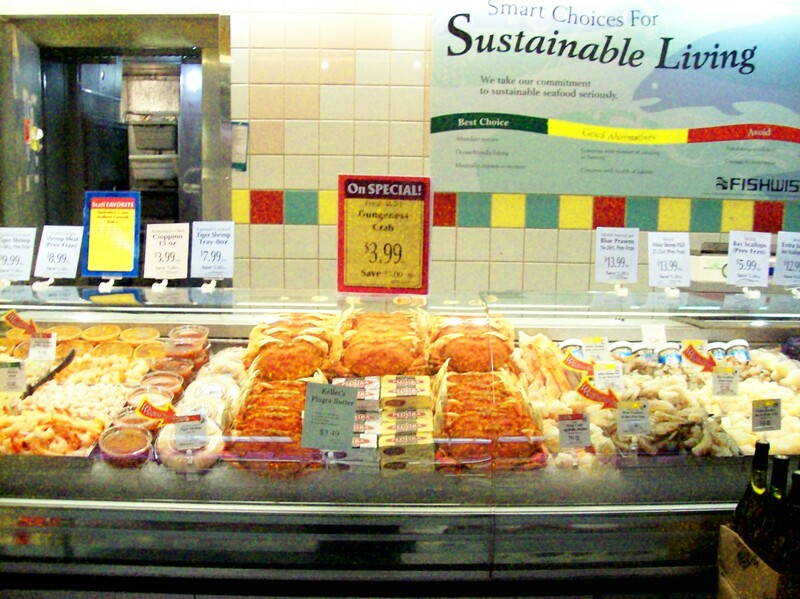 At this time, Andronico’s seafood offerings year round according to the Seafood Watch Guide for the West Coast are around 50 percent in the green (Best Choice), 45 percent in the yellow (Good Alternatives) and 5 percent in the red (Avoid) – due to customer demand and difficulty in finding the product. In the counter in adherence to the Fishwise labeling program, country of origin, production and catch method label every fresh seafood offering in the case. Try their wild salmon now, as the spring and summer are great for this fish. And Alaskan halibut is right there with the salmon. In the winter, crab is a popular choice. 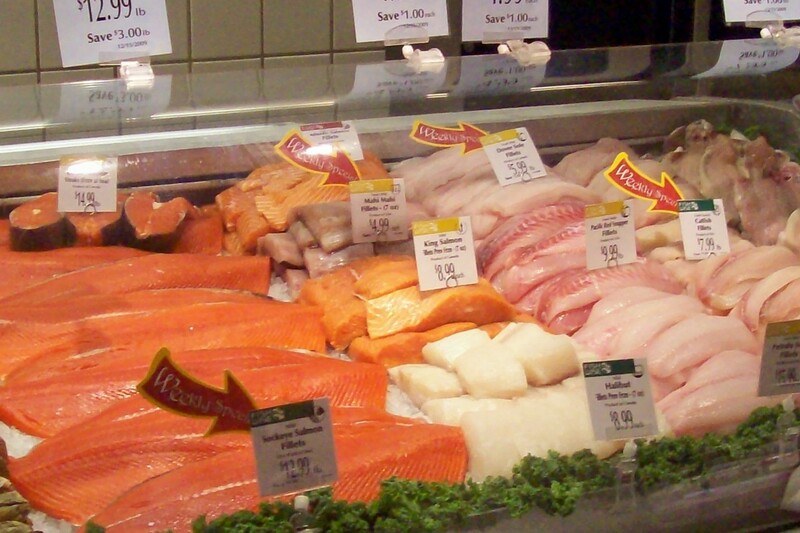 Still, year round, Andronico’s carries fresh, sustainably raised and caught fish. Their knowledgeable fish pros should be able to answer any other questions you have. Still, to deliver such a stringent and high quality program doesn’t come cheaply. Andronico’s has found that consumers are willing to pay for more sustainably raised seafood even during the economic downturn. Pomerantz has observed the abundance of fresh seafood that the Bay Area was once known for, become severely depleted by what he believes to be a combination of poor fishing practices and environmental abuse. Premium product costs Andronico’s more to source and therefore the price is passed on to their customers. My passion for food and being environmentally responsible are why I wanted to share a bit about how Andronico’s is making a contribution to providing only the most environmentally healthy products. Go visit a store and talk more with their fish professionals. They take great pride in their product knowledge and ability to help you make the best choices for you and your family!